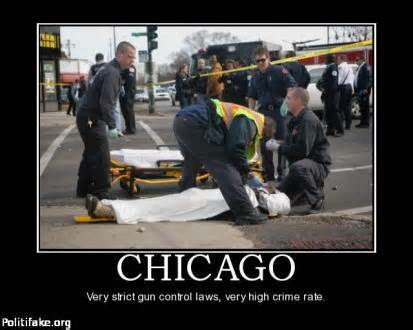 Chiraq now at 629 homicides and 3,326 people shot for the year. According to Taiyesha Baker’s logic, those Chicago women sure are raising detriments to society. From MyFoxChicago: Seven men were killed and at least 36 other people were wounded in shootings across Chicago during the Thanksgiving holiday weekend, which began Wednesday night. The latest killing happened about 9:30 p.m. Sunday when one man was killed and another was critically wounded in the Chicago Lawn neighborhood on the Southwest Side, according to Chicago Police. The men were standing on a street corner in the 2600 block of West 63rd when three males walked up and fired shots in their direction. A man who was thought to be between 18 and 21 years old was shot in the chest, and a 27-year-old suffered a gunshot wound to his stomach. They were both taken to Christ Medical Center in Oak Lawn, where the younger man died and the older man was listed in critical condition. The Cook County medical examiner’s office didn’t immediately confirm the death. About 11 hours earlier, another man was killed in the West Side Austin neighborhood. Mario Gaines, 18, was shot multiples time when another male walked up and fired at him about 10:30 a.m. in the 200 block of North Lockwood, police and the medical examiner’s office said. Gaines was taken to Loretto Hospital, where he died. He lived about three blocks from where he was shot. Shortly before 8 p.m. Friday, a 22-year-old man was gunned down in the Parkway Gardens neighborhood on the South Side. Officers responded to a call of shots fired and found Hakeem Murray lying on the ground in the 6400 block of South Calumet, police and the medical examiner’s office said. Murray had been shot multiple times and was taken to Northwestern Memorial Hospital, where he was pronounced dead at 8:53 p.m. He lived in the Englewood neighborhood. About 5:05 p.m., 23-year-old Daniel Nash was killed in a Lawndale neighborhood shooting on the Southwest Side. He was in the 1500 block of South Ridgeway when a person walked up, fired shots and ran away, authorities said. Nash, who lived in downstate Fairview Heights, was struck in the head and taken to Mount Sinai Hospital, where he was pronounced dead less than 30 minutes later. Another man was killed at 10:18 a.m. Friday in the East Side neighborhood on the Far South Side. The 22-year-old was a passenger in a vehicle in the 10000 block of South Avenue M when someone shot at him from another vehicle, authorities said. He suffered a gunshot wound to his body and was taken to Northwestern Memorial Hospital, where he was pronounced dead at 11:09 a.m. His identity has not been released. At 1:26 a.m. Friday, 27-year-old Daimmyon Hackman was shot to death during a robbery in the South Side Chatham neighborhood. He was sitting in a vehicle in the 7500 block of South St. Lawrence when someone walked up, pulled out a handgun and announced a robbery, authorities said. Hackman, of downstate Bloomington, refused to comply and the robber shot him in his left armpit. He was pronounced dead at Christ Medical Center in Oak Lawn at 2:28 a.m.
At 1:35 a.m. Thursday, another man was gunned down in a separate Chatham neighborhood attack. James Jones, 38, was driving south through an alley with a female passenger in the 400 block of East 77th Street when they saw three males, authorities said. He drove up to the trio and the two groups exchanged words before one of the males pulled out a gun and shot him in the head. Jones, who lived in the neighborhood, was pronounced dead at the scene. The female was able to get out of the vehicle and run away unharmed after the shooting, police said. She was not cooperating with investigators. At least 35 other people were wounded in citywide shootings throughout the Thanksgiving holiday weekend, including a man shot early Thursday on the Eisenhower Expressway. Last year’s Thanksgiving weekend saw 68 people shot across the city, eight of them fatally.